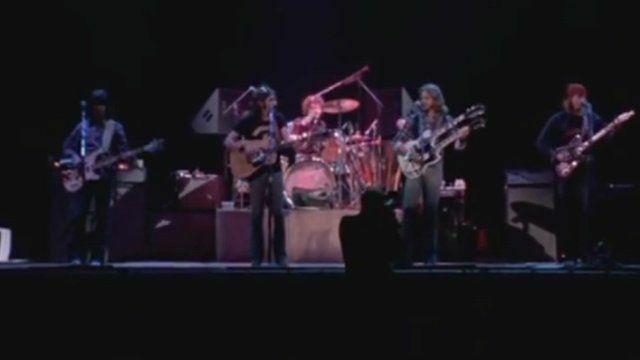 Archive: Eagles perform Hotel California Jump to media player In an archive performance, the Eagles perform their 1976 hit Hotel California. Glenn Frey reveals Eagles pressure Jump to media player One of the founding members of The Eagles, Glenn Frey, is re-launching his solo career with a collection of love songs. The Eagles rise to fame on film Jump to media player The Eagles have attended the premiere of a new biopic about their band at Sundance London. Don Henley, Joe Walsh, Timothy Schmit and Glenn Fry told Front Row's John Wilson about the film. Glenn Frey, co-founder and guitarist with the US band the Eagles, has died at the age of 67. His bandmates confirmed that he died in New York City on Monday from complications arising from rheumatoid arthritis, colitis and pneumonia. The Eagles were one of the most successful bands of the 1970s, with multiple hit singles including Hotel California, in 1976.